Texas winery Messina Hof this week unveiled a new way for Texans and those outside the state to support pepople impacted by Hurricane Harvey. The winery’s special edition wine dubbed Resilience is currently on sale with 100 percent of profits going to Harvey relief efforts. Let’s be honest, wine made in Texas can do no wrong especially when it’s being sold for a good cause. Texas winery Messina Hof this week unveiled a new way for Texans and those outside the state to support people impacted by Hurricane Harvey. 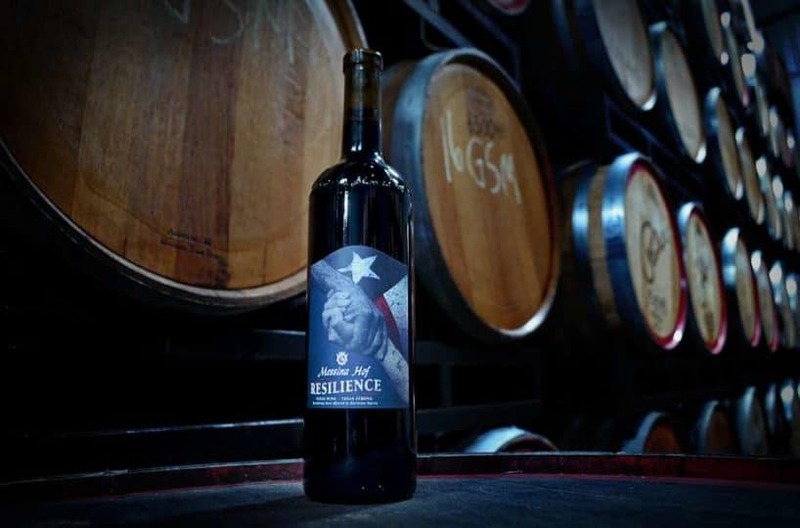 The winery’s special edition wine dubbed Resilience is currently on sale with 100 percent of profits going to Harvey relief efforts. They hope to sell $50,000 worth of Resilience, which is a dry red blend made up of Cabernet Sauvignon, Sangiovese and Malbec, according to a release. “By happenstance, the evening Harvey blew in, we were harvesting our Lenoir grapes at the Messina Hof Hill Country Vineyard,” Messina Hof’s Chief Executive Officer Paul Mitchell Bonarrigo said in a release on Wednesday. There are 600 cases of the stuff ready to go, according to Messina Hof brass. “We feel incredibly blessed to be largely unaffected by the storm and recognize the long road ahead for many of our friends, family, business partners and customers. We intend do our part and hope that we can lend a hand through this product release,” Bonarrigo added. Celebrating 40 years of business this year, the winery has locations in Bryan, Grapevine, and Fredericksburg – which is the wine capital of sorts of Texas. Just ask the thousands of people who make the drive to the Hill Country every week. In addition to those locations, Resilience can be purchased online and in select grocery and liquor stores around Texas.